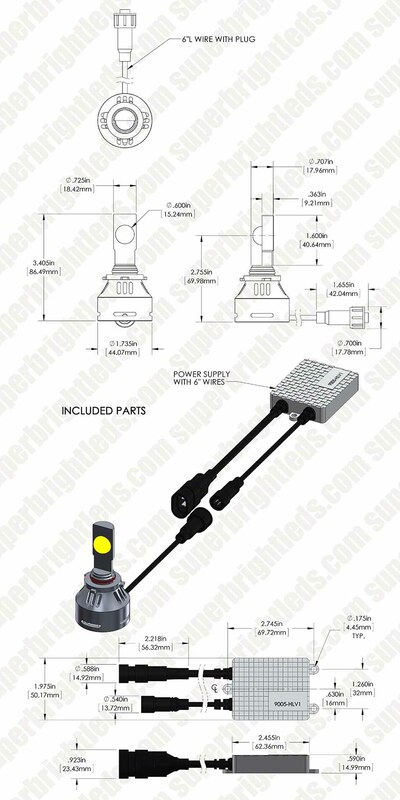 LED Headlight Kit - 9005 LED Headlight Bulbs Conversion Kit: Shown On From Inside Car. 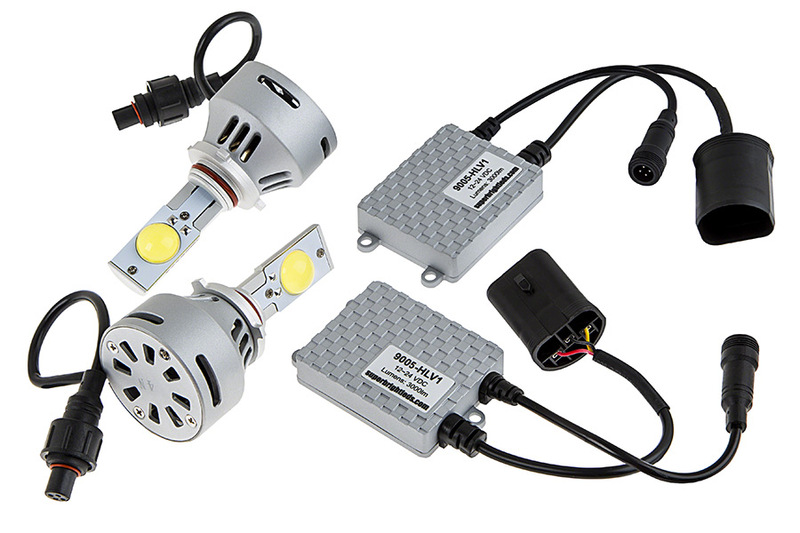 LED Headlight Kit stomps the competition with high 2250 Lumen output and low 3 Amp current draw; extra long life for less maintenance time; focused beam pattern for brighter details; wide input voltage range for a large range of vehicles; and copper core thermal technology to maintain cooler operating temperatures. Easy to install kit comes with a lifetime warranty. Price per kit. For Can BUS systems, your vehicle may require a load resistor to alleviate error messages due to the low power draw of these bulbs. You can find load resistors here. This bulb cannot be used with vehicles that use PWM. I purchased these lights for my 2007 Silverado 2500HD and am happy so far. The light is focused and bright as I expected. I now have LEDs in my fogs, lows, and highs. 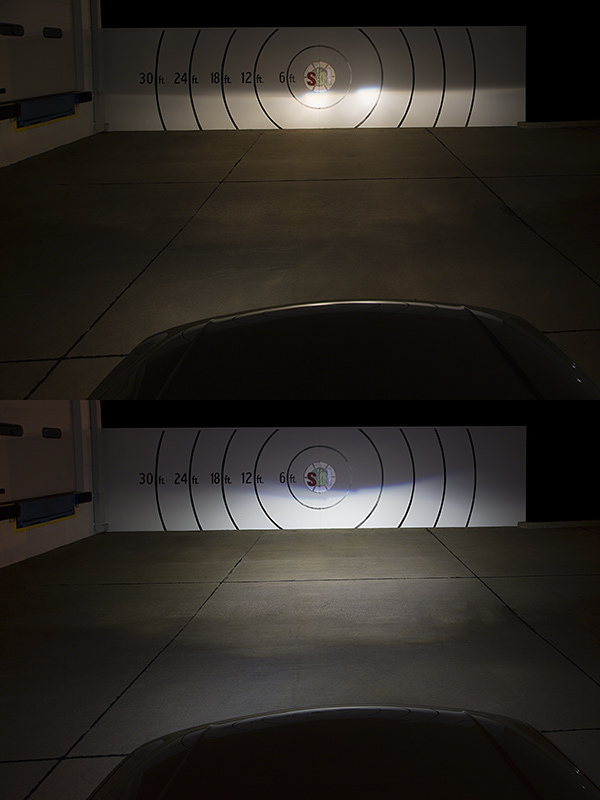 I must say that there is little to no difference between low beam and high beam in my case with the LED bulbs, but I am still happy with the output from the low beam. My high beam only illuminates a small bit higher on the trees and such. 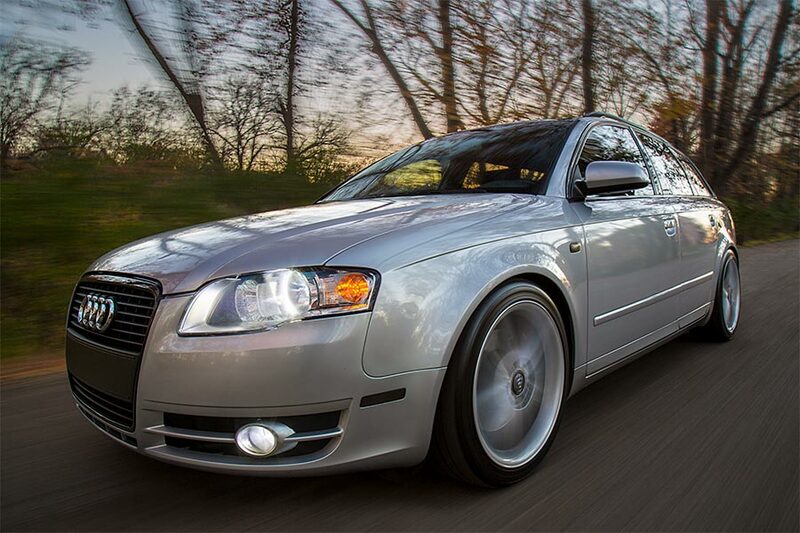 There is no noticeable difference on the road in terms of output. Overall I would recommend LEDs to anyone looking for good output in your fog & low beam areas, but stick to halogen for high beams if you require different bulbs for each. Impressed with the brightness, and whiteness of these LED Headlights! 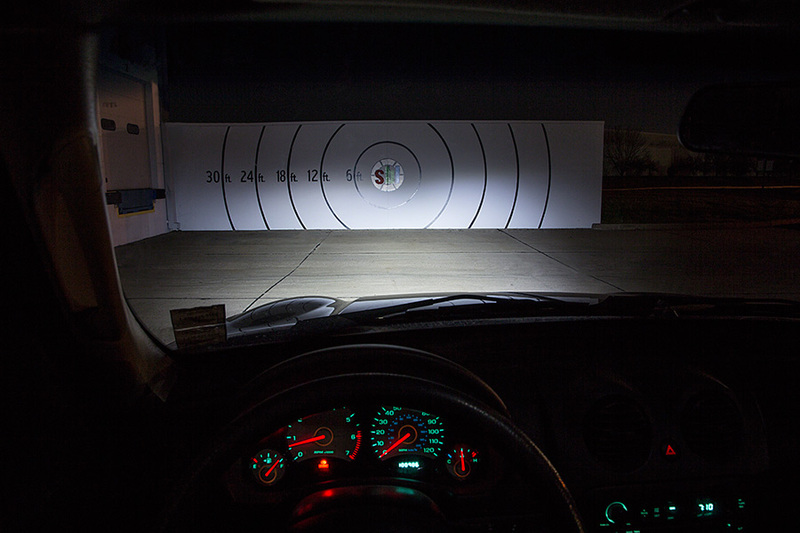 I am disappointed that the High Beam is not much brighter than the Low Beam, but both give plenty of light. They were not a simple remove & replace light - I had to cut the plastic locking ring in half as it was too long and too small for the heat sink to fit into it. Once that was done, though, the rest of the install was very easy. And, the results are great! I installed just the passenger side and then tested it to compare against the OEM light. The attached picture shows the difference! Quite dramatic! 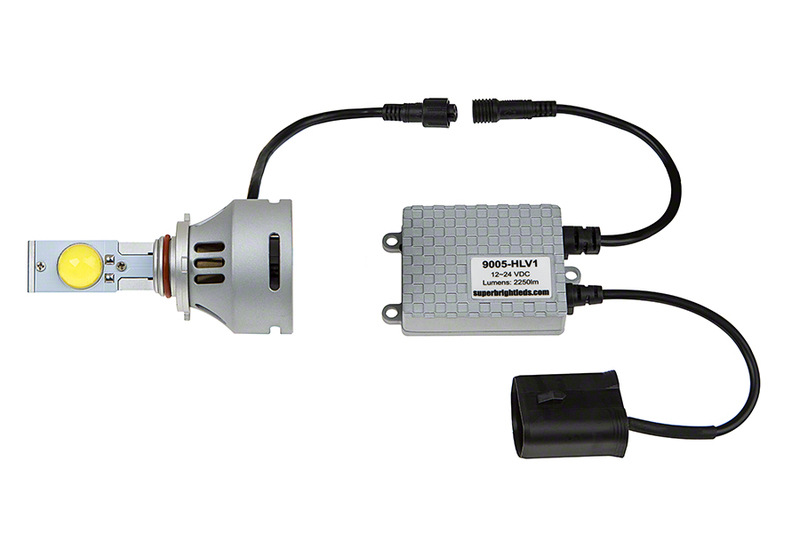 The jury is still out regarding the LED conversion for the 9005 LED bulb with fan. I have to say that for local use on dimly lit rural roads these bulbs are outstanding. The test will be driving on highways (freeways) that don't have any lighting. My concern would be that these bulbs may not project out as far as the conventional halogen bulb. 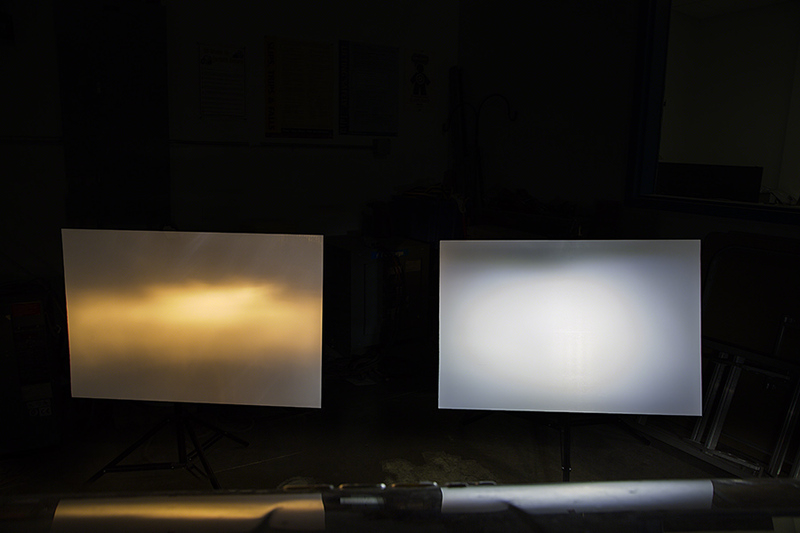 The LED units perform more like a flood light whereas the halogen bulbs will be more like a spot light. The final concern is will they pass the state inspection when it comes time in June. 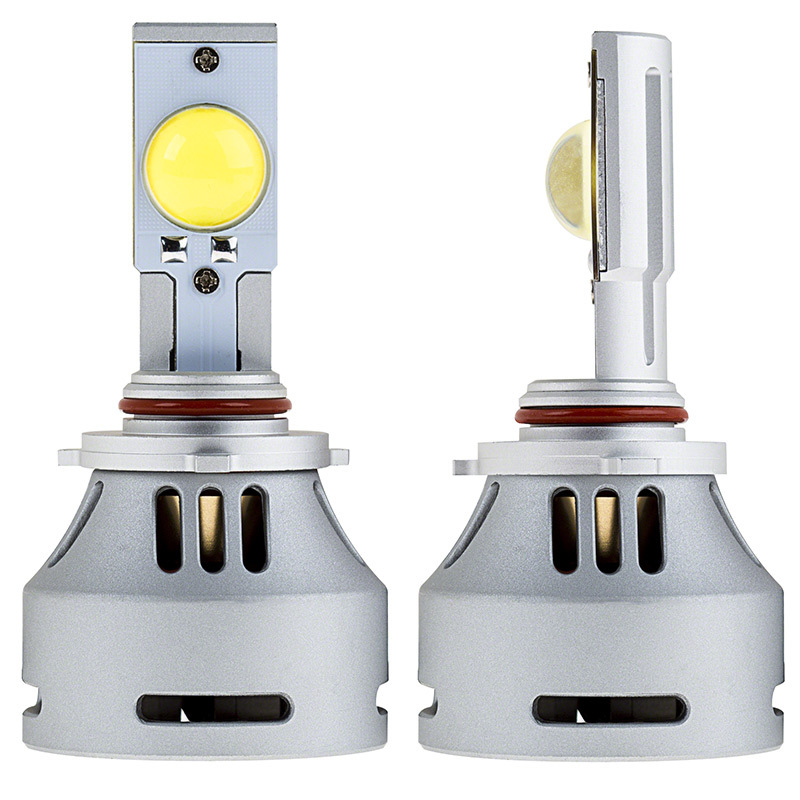 Glad there is a 2 year warranty with these bulbs as indicated by correspondence with Super Bright LED Support. 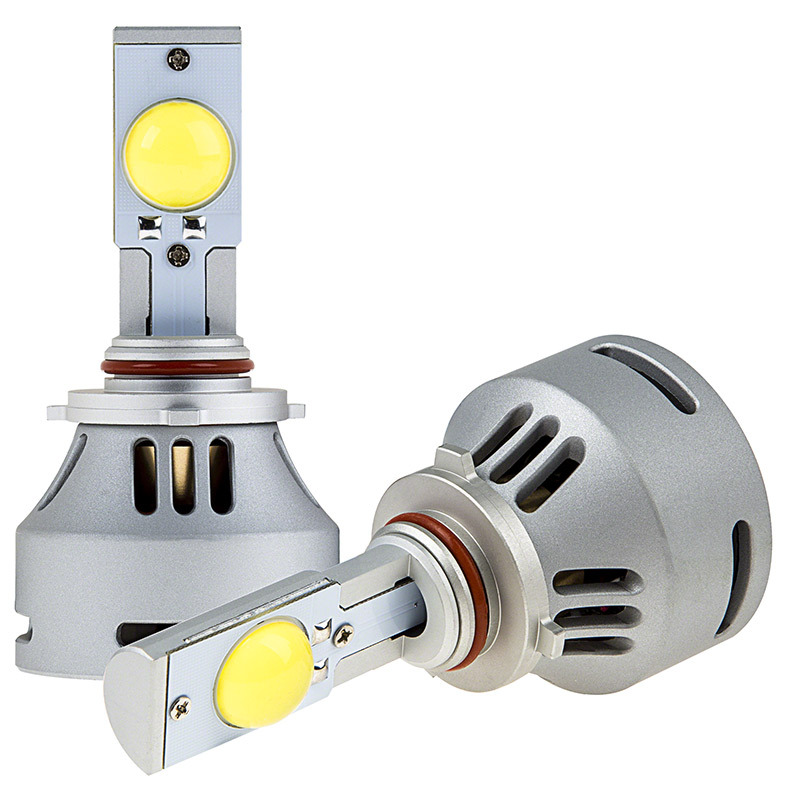 As high beams, these lights function beautifully and are VERY BRIGHT!!! I like them a lot. On my 2010 camry, they double as the DRL and they have a flicker that isn't too noticeable but it can be seen in the periphery. Not sure how to fix this, but my workaround is to just leave the DRL off and use them strictly as highbeams. 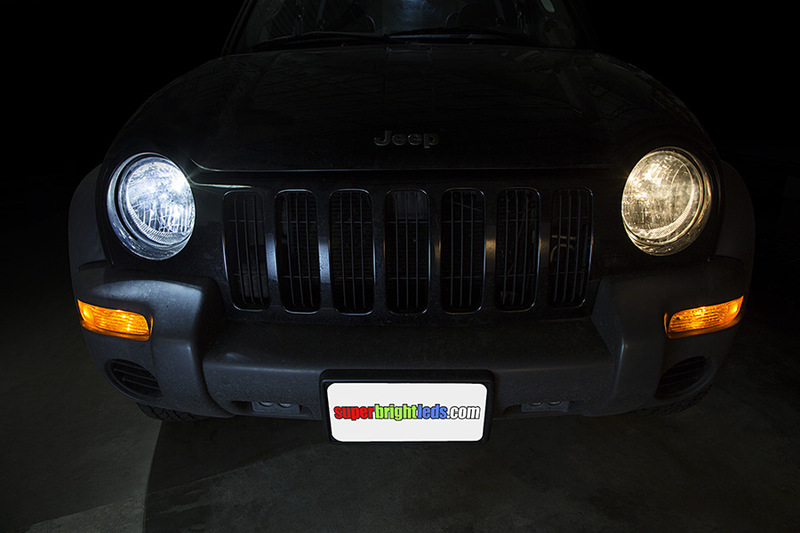 If your low beam also serves as your DRL, you may experience flicker because of the method some vehicles employ to reduce the brightness. Super easy install!! no modification to the car at all! !